The trend of late has been to cook green beans – and most green vegetables – until they're just barely warm, so that they retain all of their crunch. 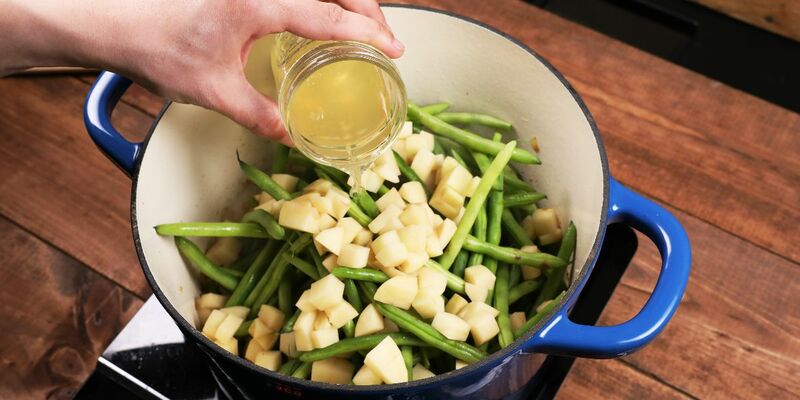 But braising green beans, such as in the recipe that follows, is an equally delicious way to serve them. 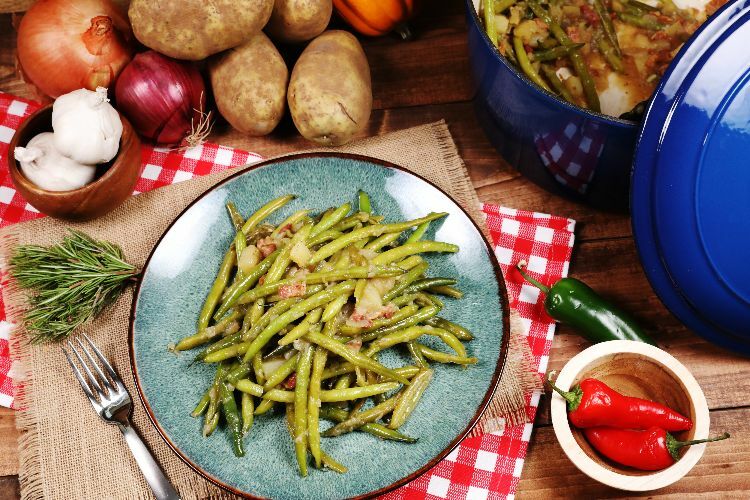 This recipe for Southern green beans pairs the veggie with potatoes, bacon and just the right amount of garlic for a delicious recipe that's homey and comforting. Fry the bacon in a frying pan over medium-high heat until crisp. Remove with a slotted spoon and set aside. Add the onion to the remaining bacon grease and cook for about 10 minutes, until soft and slightly brown. Add the garlic and cook until just fragrant, about a minute. Add the green beans, potatoes, chicken broth and cooked bacon. Cover and cook over low heat for about 45 minutes. Remove the lid and taste for seasoning; season with salt and pepper as desired. Cook uncovered for the last 15 minutes of cooking to reduce the sauce.